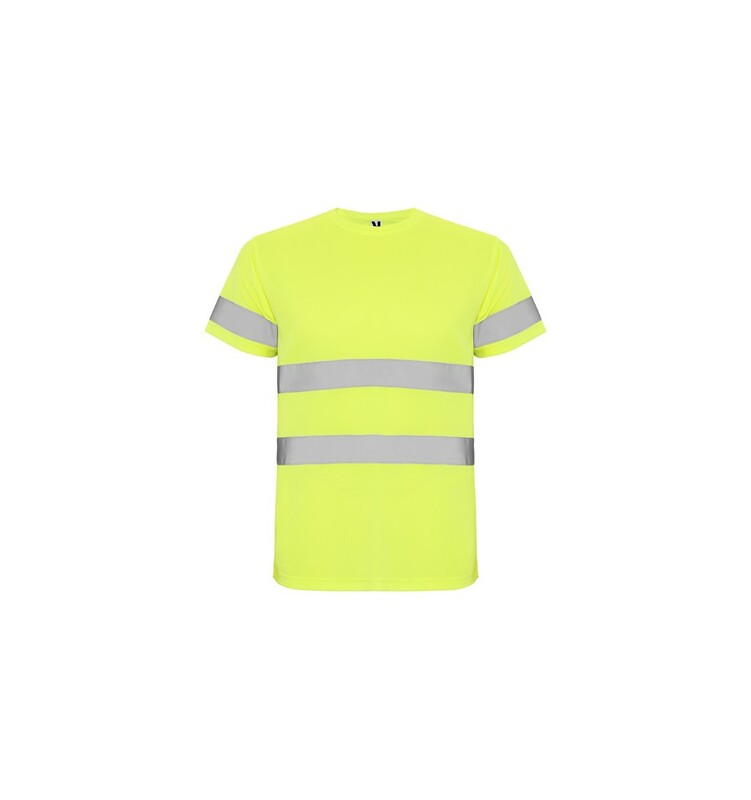 High visibility short sleeve technical t-shirt. Crew neck in the same fabric and reinforced covered seams in collar. 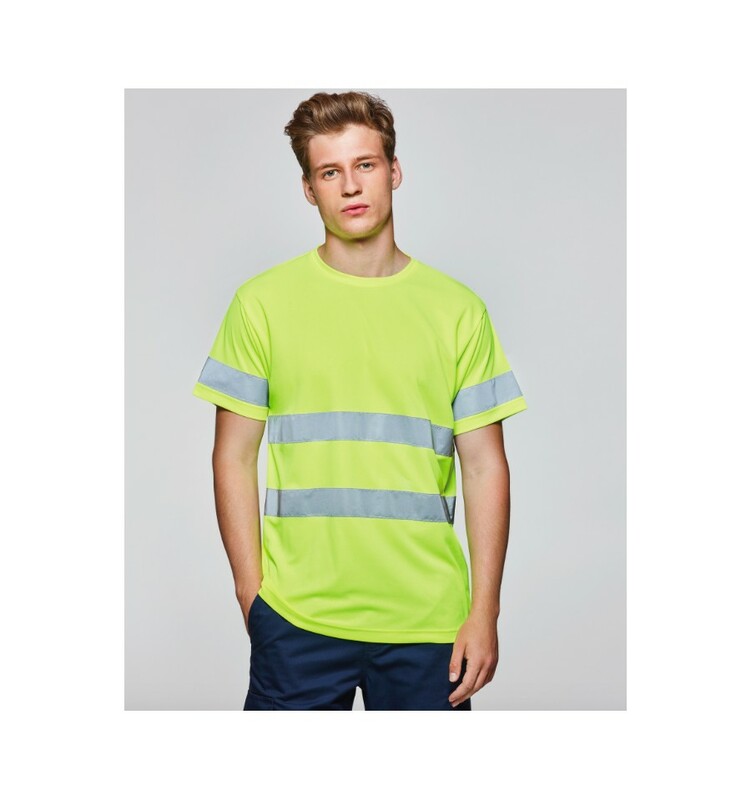 Two horizontal reflective bands in body and one in sleeves. 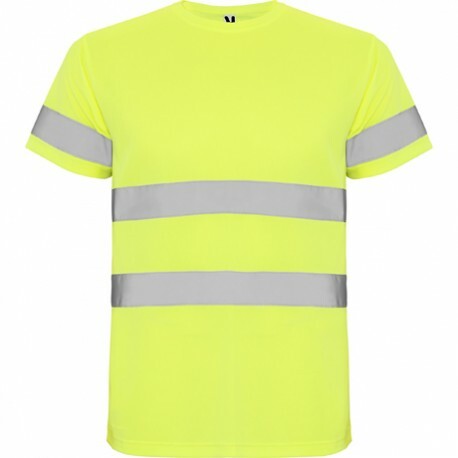 100% honeycomb polyester, 130 gsm.